InnoList allows multiple user (or program instances) to access InnoList-Applications simultaneously. InnoList-Files can be opened by multiple users. Changes done to the data are registered and reread from the file system. This works for input data and in a limited way also for configuration changes. There you configure if there are any users and what they can access. 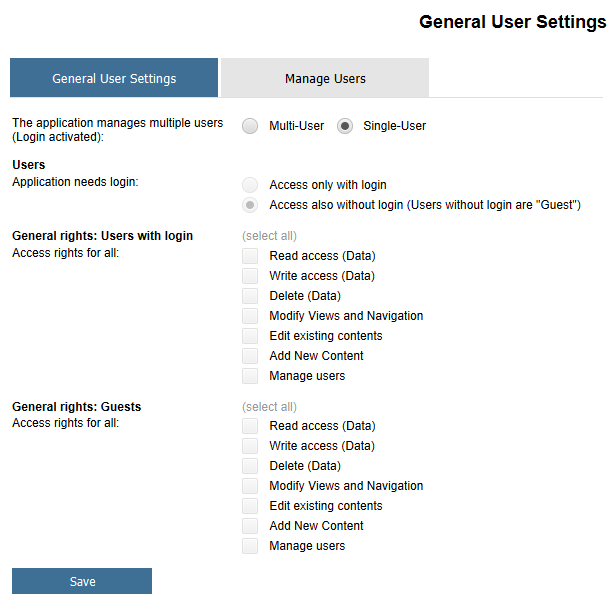 Roles define the type of access, you could also call them User Groups. 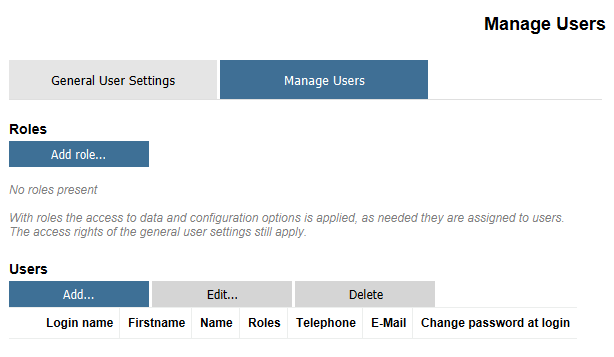 Because teams often have multiple users with similar access, this makes the user configuration easier. Users in InnoList basically have roles, a login name and more personal data (optional).